Students new to McHenry County College enjoyed lunch and entertainment at the new student convocation event on the campus in Crystal Lake. H. Rick Bamman - hbamman@shawmedia.com News students are welcomed to the annual New Student Convocation. 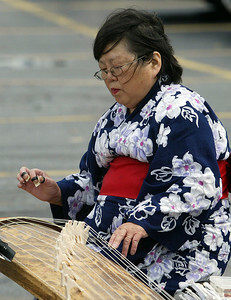 H. Rick Bamman - hbamman@shawmedia.com Mariko Hosokawa performed on a traditional Japaneese Koto. H. Rick Bamman - hbamman@shawmedia.com McHenry County College board vice chair Dennis Adams taunts students trying to dunk him. 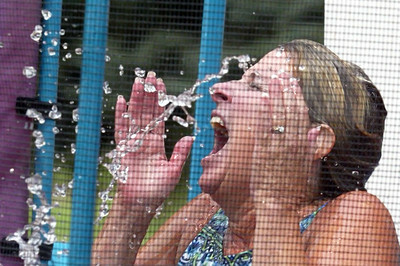 H. Rick Bamman - hbamman@shawmedia.com Incoming student Daniel Aguirre tosses at the dunk tank. H. Rick Bamman - hbamman@shawmedia.com McHenry County College board chair Mary Miller is dunked at the new student convocation Thursday, August 16, 2012. The event is the official welcome for new students to MCC by the president, administration, staff and faculty. 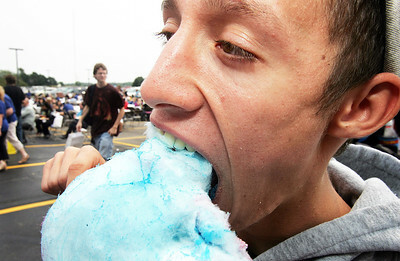 H. Rick Bamman - hbamman@shawmedia.com Spencer Irish Morrobel (cq) of Crystal Lake enjoys cotton candy at the MCC hosted the second annual New-Student Convocation. 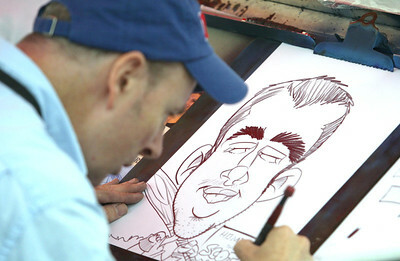 H. Rick Bamman - hbamman@shawmedia.com Caricature artist Kevin Berg draws a likeness of MCC student Matt Schmidt of West Dundee. 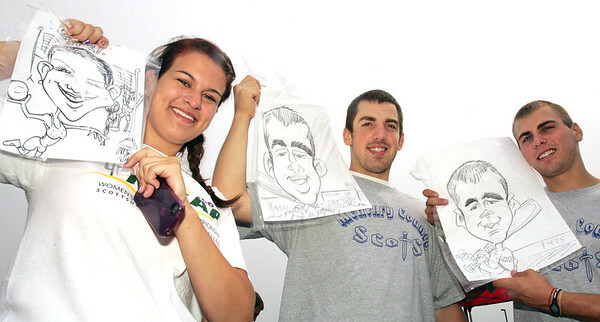 H. Rick Bamman - hbamman@shawmedia.com McHenry Couny College students from left, Kate Harney of Wilmette, Matt Schmidt of West Dundee and Nick Kostalek of Huntley show off their caricature art drawn by artist Kevin Berg at the MCC New-Student Convocation. McHenry County College board vice chair Dennis Adams taunts students trying to dunk him.